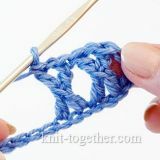 Knitting is started from making a foundation row of stitches or initial row of stitches (casting on). There are a plenty of methods to cast on. Each method has its own peculiarities: some allow obtaining more or less stretchable edge, other create various decorative effects. Within the framework of our lessons for the beginners, we'll learn how to cast on in the main way. 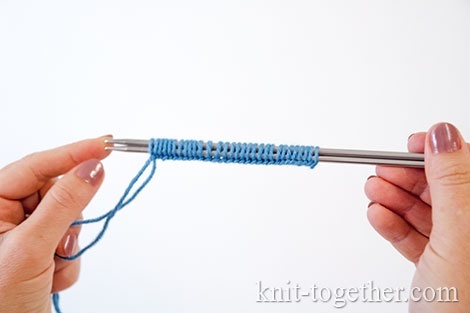 This method is also called the classic or the basic technique for casting on with needles. A classic cast on technique is the most popular one. It allows making a firm and rather flexible edge which would suit for any pattern. The basic method is quick and convenient. 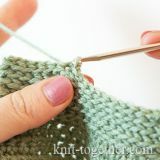 The only drawback regarding this method is that sometimes, especially if casting on many stitches, it may be difficult to estimate the length of the free end of yarn. 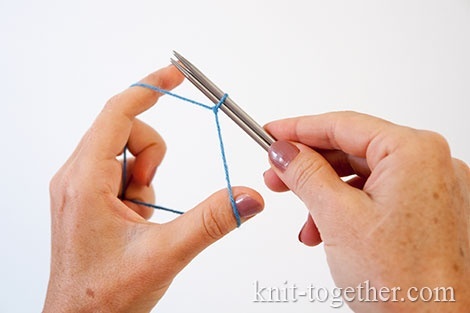 If the length of the free end of the yarn is not enough, you will have to cast on once again. 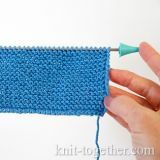 To estimate the length of the free end, take the yarn and one needle to be used for knitting. 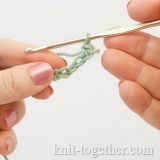 Wind the yarn around the needle for 10 times, so that you get a length of yarn to cast on 10 stitches (one wind per a stitch). Consequently, measure off the number of lengths proportional to the number of stitches to be cast on, plus 15-20 cm. 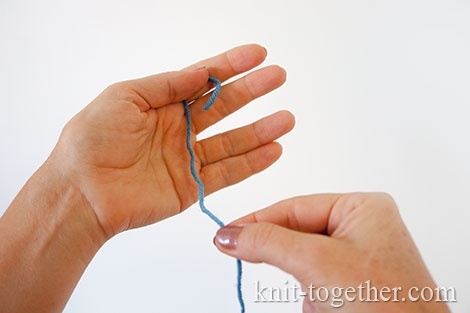 Measure the necessary length of the free end of yarn and hold the yarn in this place the thumb and index finger of the right hand. Place the free end of the yarn in the "away" direction. 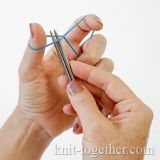 Put the end of the yarn going from the ball into your left palm, hold the thread between your index and middle fingers of the left hand. 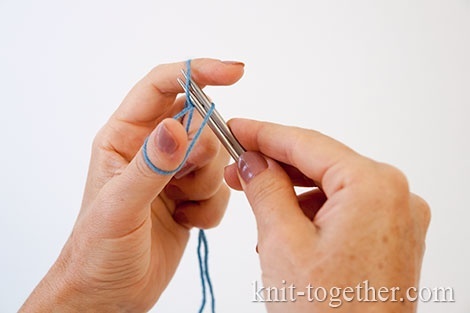 Throw the yarn through the index finger and put it on the thumb of the left hand from the bottom up. A loop will be created on the thumb. 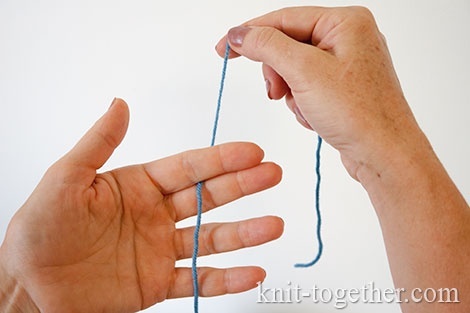 Use your ring finger and little finger to hold the yarn ends put together in your palm. 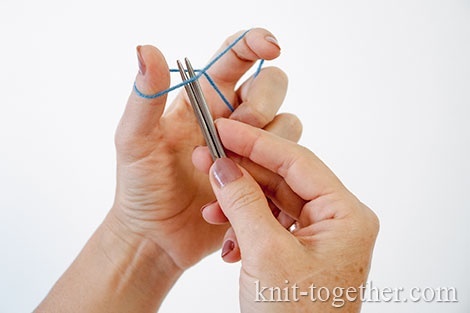 Introduce two needles put together from bottom to top into the loop formed on your thumb. 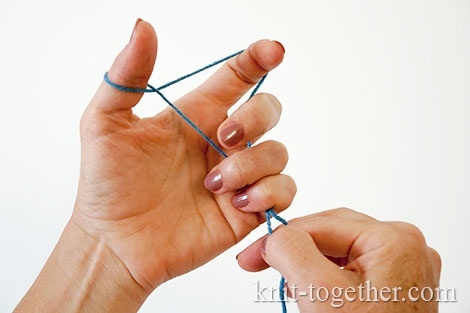 Catch the yarn, lying on your index finger, and pull it into a loop. 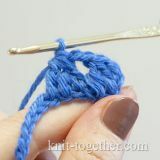 By moving the yarn strands apart with your point finger and thumb, tighten a stitch on the needles. 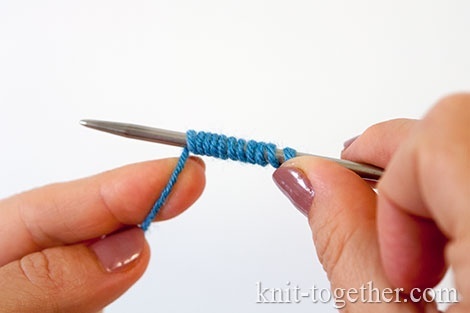 The stitches should be tightened closely but not too tightly in order to let them move on the needles. 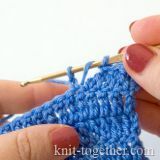 By proceeding with this technique, cast on the necessary amount of stitches. Practice until you start casting on masterfully quickly.